His birthday is celebrated as Engineer's Day in the country. He was awarded several honours and titles during his lifetime. 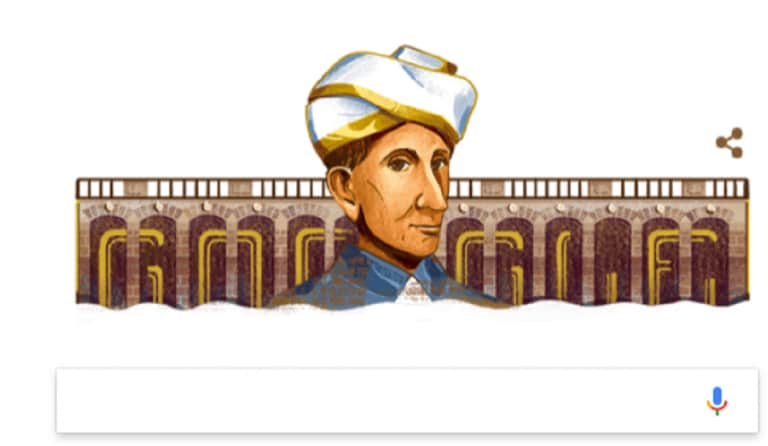 Google has put a doodle on Saturday to honour Bharat Ratna winner M Visvesvaraya on his 157th birth anniversary. Visvesvaraya, who left his mark in various fields is popularly known as the Father of Engineering in India and his birthday is celebrated as Engineer's Day in the country. Visvesaraya, who was qualified as a civil engineer served as the Diwan of Mysore. Hailing from Mysore, he is is credited with many engineering feats in the country. These include the popular Krishna Raja Sagara Lake and dam. In addition, he is the brain behind making the city of Hyderabad flood proof. He was awarded several honours and titles during his lifetime. This include the Order of the Indian Empire by the British government. He was also knighted as a Knight Commander of the Order of the Indian Empire. He was finally conferred with the Bharat Ratna by the country to honour his contributions.